On Monday, May 28th, our AVONTUUR returned home to Elsfleth . Warmly greeted by friends and family, the AVONTUUR arrived from her five-month cargo voyage from the Caribbean. In addition, our almost 100-year-old two-master was warmly welcomed by regional press as well as representatives from the Bundestag including Susanne Mittag (SPD) and Elsfleth mayor Brigitte Fuchs. 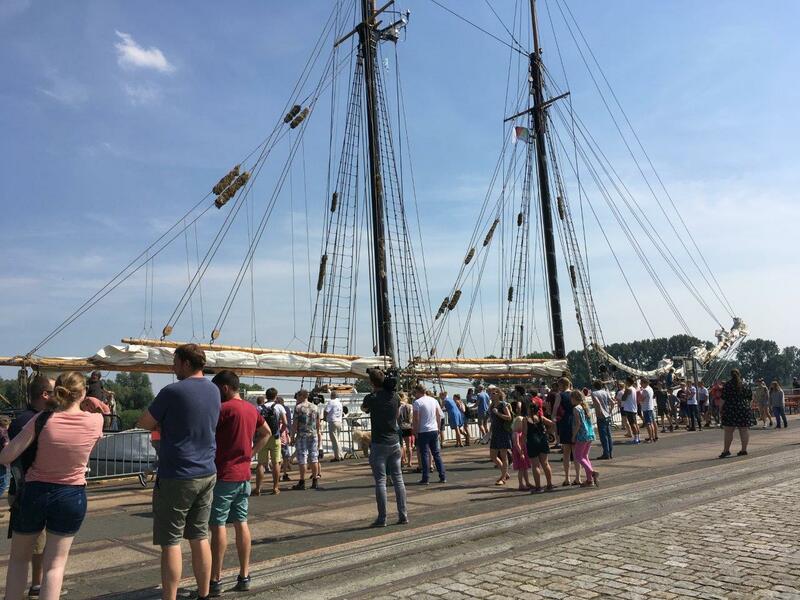 This voyage began from France in January 2018 and saw the AVONTUUR and her crew sail over 12,000 Nautical miles collecting specialty spirits and organic goods along the way. Port stops in the Canary Islands, Marie Galante, Honduras, Mexico, Cuba, and the Azores while loading 70 tons of freight including cocoa, coffee, cardamom, red wine, mezcal, Korn, and Rum. On May 10th, the freighter arrived fully loaded at Hamburg’s harbour birthday, where the goods were offloaded at a special event hosted by our cargo partners. Those present in Elsfleth were also able to see how freight is unloaded manually. Until the end of the week the AVONTUUR will sit still before she will go into the Elsflether shipyard for maintenance. In 2014, the initiator and captain, Cornelius Bockermann created the TIMBERCOAST project to sound the alarms about the detrimental effect the shipping industry has on the environment meanwhile showcasing a clean shipping alternative.